No, that’s it. Play Barbarian. Look, I’m not going to tell you to play any other class than that. I don’t even know what you were expecting. Play a Barbarian in Season 14. 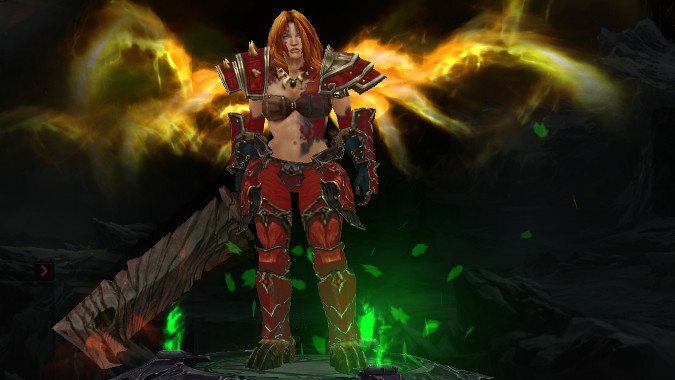 Diablo 3 will see Season 14 start on Friday, June 15. That means if you’re planning on playing a Barbarian or one of the other, lesser classes in said Season, you need to start mentally preparing for it now. What class is best? Well, you know my answer, but all my Barbarian chauvinism aside (seriously, play a Barbarian, that is my answer) the real question is, “Which class is right for you?” Are you a ranged player? Do you like minions or turrets, or would you rather make a bunch of corpses explode? There are a lot of options for whatever playstyle works for you, and each class has specific specialties it’s best at. So let’s talk about what you should play in Season 14. 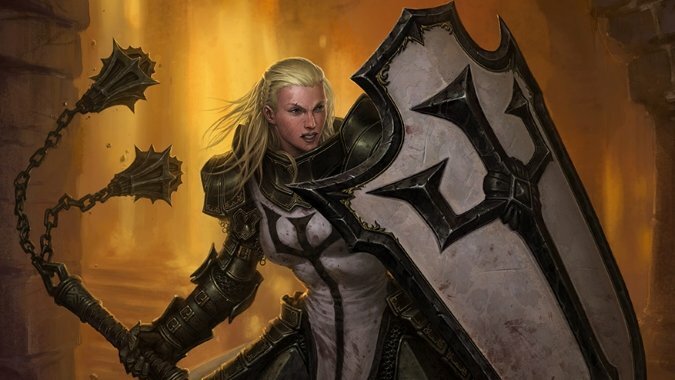 The melee focused classes in Diablo 3 are Barbarian, Crusader and Monk. Each of these has a different flavor to them. Barbarians are my soul mates and also focusing on brutal mass damage with huge splash attacks like Seismic Slam, Hammer of the Ancients, and Whirlwind. Crusaders use a big shield to block — and in some cases redirect — damage, and withering attacks like Bombardment and Heaven’s Fury that lay waste to an area. Monks are nearly the polar opposite of this, with high maneuverability that allows them to avoid damage that Barbarians simply absorb and Crusaders block or reflect. Attacks like Tempest Rush and Exploding Palm allow them to deal out damage while avoiding it themselves. Essentially, if you are looking for a melee class, these three have three variant approaches — wade in, take a beating to dole out one of your own for Barbarians, use a shield both to avoid damage and deal it out yourself while also smiting every fool in reach on the Crusader, or nimbly sidestep threats and use the enemies own numbers to destroy them on the Monk. 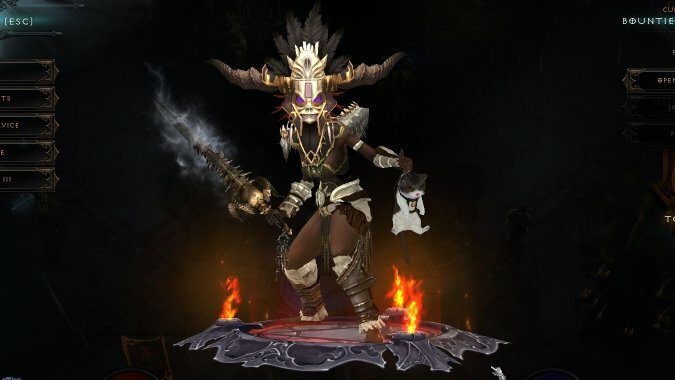 Ranged players have more options, with the Necromancer, Witch Doctor, Wizard, and Demon Hunter all focused on dealing damage from a distance. 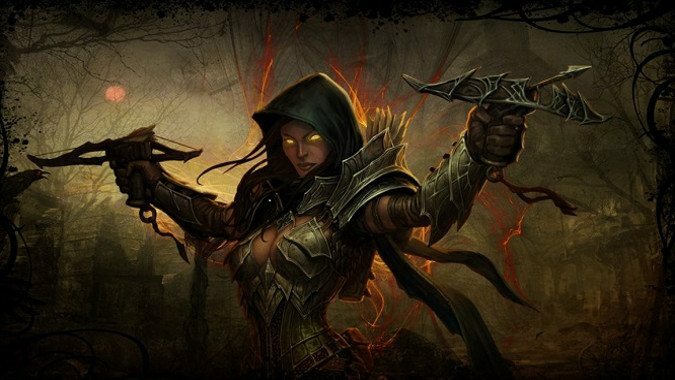 These classes don’t like getting in close, although with Diablo 3 being what it is, there’s only so much distance you can actually put between yourself and the hordes of demons and undead who will be trying to kill you. Demon Hunters can focus on traps, turrets, or pets to help them as they cartwheel around the battlefield, using Vault, Strafe, and Multishot to their advantage. Witch Doctors are a bit of a hybrid class, relying on summoned minions and curses to soften up their enemies. Then, they either use their magic to make their minions and curses stronger and whittle their crippled foes down, or they sometimes wade in to kill their debilitated enemies. If you want to use mindless Zombies as fodder and summon Gargantuan ones to fight, Sacrifice one and watch it explode, or even rain Firebats down on your foes, the Witch Doctor could be for you. If you like the concept of using minions and debilitating your enemies, but not so much the specific aesthetic of the Witch Doctor, the Necromancer is a close cousin. Their flavor is fairly different, with the Witch Doctor’s kit being more The Serpent and the Rainbow while the Necromancer is more straightforwardly Evil Dead, but if you like wielding a scythe while unleashing hosts of skeletons and causing your fallen enemies to explode, Necromancers are your jam. But Wizards are the pure stuff. Magic Missile, Ray of Frost, Arcane Orb, Mirror Image, and Teleport are just some of the tricks Wizards have at their disposal. If you want to rain destruction without worrying about things like pets or minions, Wizards are the ranged class for you. Remember, your Season journey starts at level 1 with no gear or money so you won’t have to worry about optimization for quite some time. Blizzard has basic guides for each class up on the official site, which are useful for getting a handle on the flavor of each class and looking over their spells and abilities. Now, these are perfectly serviceable for when you’re just starting out — everyone’s equally squishy and underpowered at level 1. That’s why the game starts you off with a few shambling undead in Act 1 and gradually ramps up as you clear your way through the Cathedral. But as you level and get deeper into the game, you’re going to want to focus on what skills and abilities to pick and you’ll need more advice than those starter guides. The forums are resources for new players with guides to aspects of the game you might not initially expect to be complicated, like what follower is best to use and how to select their talent and abilities if you’re soloing. My personal advice is Enchantress or Scoundrel if you’re a melee, and Templar if you’re ranged. Each class also has a forum and many have guides and advice from other players you can review. Forums being what they are, sometimes the advice is out of date or less than helpful but it’s a place to start once you get past the opening levels. 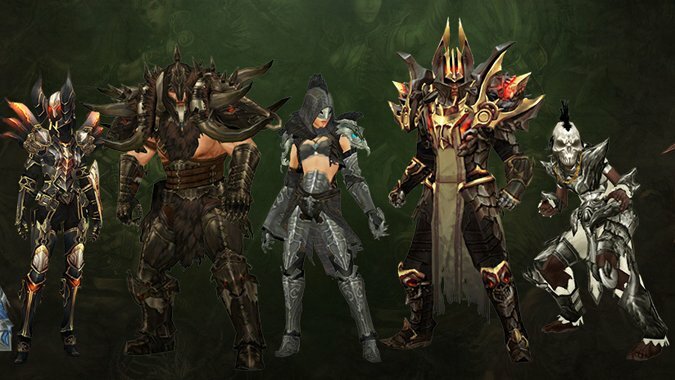 There are also other sites on the internet that offer build advice for Diablo 3, including various Reddit communities (with r/diablo and r/diablo3 being the largest of use for a new Season 14 player) and sites like Icy Veins. Actually starting a Season character is easy. 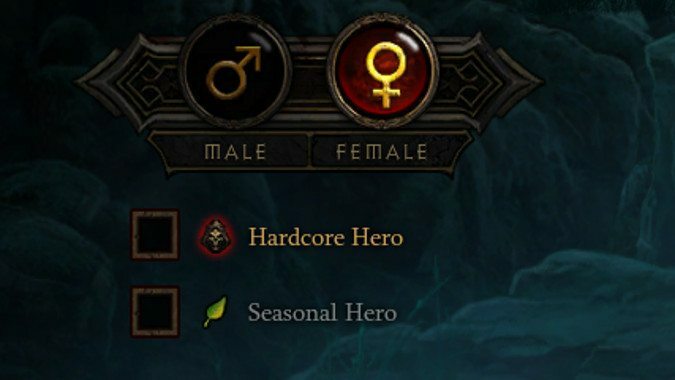 Once the Season starts, there’s an option on the character creation screen to choose between a normal and Seasonal character. Seasonal characters start off with nothing — they don’t have any Paragon levels, they don’t share any stash tabs with your other characters, they’re completely cut off at level 1 with starter gear. From there, you play the game as normal, just as you did the very first time you rolled a character in Diablo 3. All the content is available to you — all five acts and Adventure Mode, so you can level to 70 doing the story, running bounties, doing rifts and greater rifts, or you can play with friends. Season play is basically a reset that makes leveling as challenging as if you had no higher level characters to funnel you gold, gems, and legendaries. Hopefully this post helped you decide what class to play in Season 14 — namely, Barbarian. If you leave a comment saying otherwise, I will put my fingers in my ears and go la la la I can’t hear you, which will be fairly useless as we’re communicating via written words.